We know for a fact that there are only 24 hours in a day but have you ever wonder what that means to a rabbit? How does a rabbit perceive time? Do they know or remember the past or even yearn for the future? How long does a minute feels like being a rabbit? I believe that pain is the only feeling an animal can feel and depends on which species, some are known to feel pleasure while others do not. Do rabbits feel lonely when left alone? Perhaps if we know for sure that rabbits can perceive time, we might be able to also conclude that rabbits can feel loneliness. That is because loneliness increases over time as in being alone for a long period of time brings about the feeling of insufficient interaction with another living thing. Just imagine living life without the constraint of time – no year, month, week, day, hour, minute or second. I believe most animals are built like that because unlike humans with very well developed intelligence, they have no knowledge of time. I spent a little time searching the internet regarding this topic and found an interesting article. For those interested, you can read it here. Like the white rabbit, I must say “oh my furry whiskers I’m late I’m late I’m late”. And I have to add that I am late for bed. Good night everyone and have a wonderful week ahead! 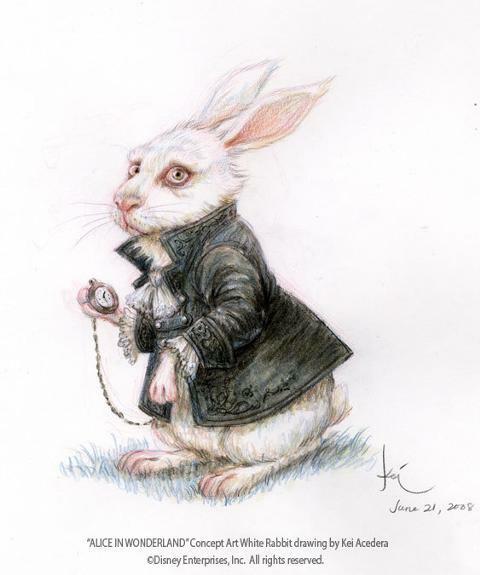 P/S: How can a rabbit hold a pocket watch when it cannot perceive time? I read a book called Watership down, using rabbits as central characters. You should read it, it is good!! There’s an animated movie based on the book too, it’s awesome!